Ask The Muscle Prof: What Should I Eat Before And After Cardio? Fasted cardio may be on its way out, but low-carbohydrate cardio may take its place as the fat-loss king. 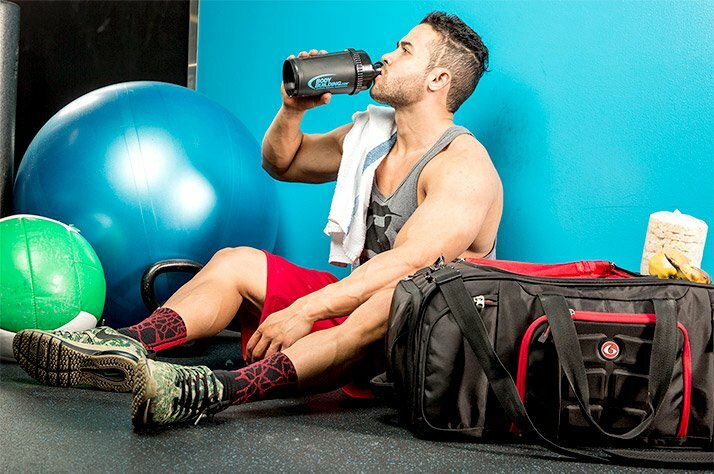 Learn how to maximize your cardio results with nutrition! What should I eat before and after cardio for fat loss? For bodybuilders, this is one of those timeless questions, the sort that you'd climb to the top of a Himalayan peak to ask a wise guru. What would the guru say? "It depends," of course! Your schedule, your program, and your style of training all play a part in determining what works best for you. But before you slide back down the mountain, hear me out! We've definitely learned a lot in recent years about how to time nutrition around cardio, and none of it is too hard to implement. And at least you got your cardio on the way up! The transporter CPT-1 is inhibited when insulin levels are is high, and elevated when carbohydrate stores in the muscle are lower. This is part of the reasoning behind fasted cardio. The theory is that being in a fasted state ensures a very low-insulin environment, and theoretically should lower muscle carbohydrate stores faster, putting you in a prime fat-burning state. But how does this shake out in the real world? During Ramadan, observant Muslims can only eat food between sunset and the following sunrise. In this study, subjects either performed 40-60 minute sessions of fasted cardio in the late afternoon, or they performed the cardio at night after having eaten. Researchers found that the only group to lose fat was the fasted cardio group, to the tune of 6.3 percent. Dr. Schoenfeld took a different approach. He had subjects drink a carbohydrate protein shake either before exercise (fed cardio) or after exercise (fasted cardio). Surprisingly, he found that both groups lost fat equally. Why the difference? It's hard to say, but one possibility is that the greater fat loss seen in the Ramadan study can be explained by the fact that those subjects limited carbohydrate intake for several hours before and after their cardio bout. In contrast, the Schoenfeld study gave subjects carbohydrates either immediately before or after the event. To dig deeper, we need to focus more squarely on the role played by carbohydrates. Luckily, there are more studies to help us here. In 2005, I attended the American College of Sports Medicine Conference, one of the largest exercise physiology conferences in the world. At the time, most researchers held that consuming massive amounts of carbohydrates around a workout was ideal for long-term adaptations. At this conference, Dr. Hansen and her colleagues shocked attendees when they presented research to show that we may have had it backwards.5 Her lab maintained that, when exercising, it is the act of draining the muscle cell of carbohydrates that forces it to increase its ability to use noncarbohydrate fuel sources like fat. To test this theory, her lab took untrained subjects and had them perform two cardio sessions a day—an hour of repeated leg extensions—three days a week using one leg, and six daily cardio sessions over the same period of time using the opposite leg. Both legs were trained for one hour followed by two hours of rest in a fast stated, after which one leg was trained for an additional hour. Subjects were not allowed to consume carbohydrates between sessions. This meant that, during the first session, carbohydrate stores in the muscle were high. However, by the second bout, subjects were performing cardio with low carbohydrate availability within the muscle. In contrast, the leg performing cardio once daily always had high carbohydrate availability within the muscle while training. These researchers found that proteins in the mitochondria that controlled fat metabolism were increased more in the leg that performed exercise twice a day then in the leg that performed just a single session. Translation: Training twice every second day in a low-carbohydrate state may be more beneficial for burning fat. More recently, Dr. Yeo and colleagues repeated this study design in trained individuals.6 Their study was unique because they looked at subjects' ability to use fat during a single cardio session both before and after several weeks of either doing two-a-days—low carbohydrate availability on session two—or after performing each session daily with high carbohydrate availability every session. While endurance performance increased similarly between groups, it was found that the fuel preference during steady-state exercise drastically changed. In fact, the two-a-day group increased fat oxidation (fat burning) during exercise to a much greater extent than the daily group. A consensus is shaping up here: Fasting is OK, but being low-carb may be equally—if not more—important. But before you set foot hungrily on the Airdyne, there's more you need to know. The research presented here suggests that, while calorically fasted cardio may or may not be effective for you, training in a lower carbohydrate state may be beneficial for optimizing the preference of fat as a fuel source—if you do it right. One way to encourage adaptations is to do cardio sessions twice a day with rest days in between, rather than performing cardio daily. For example, a prepping competitor could perform steady-state aerobic training in the morning, and then high-intensity interval training in the afternoon or evening. In between sessions, they would limit carbohydrate intake to vegetables, but replace these lost carbohydrate calories with adequate fat and high-quality protein. Following the second cardio session, the competitor could resume normal consumption of carbohydrates both that day and the next day. 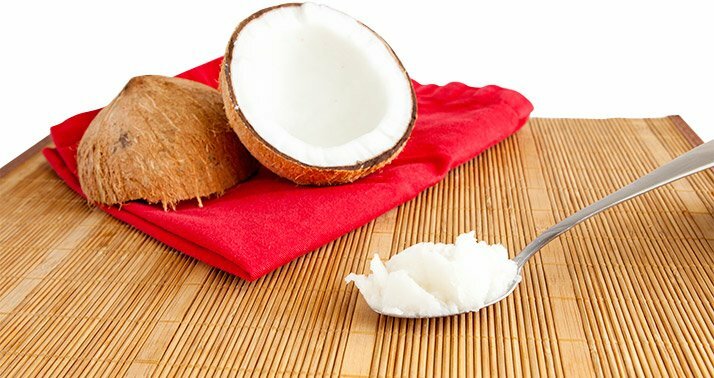 Before you train, also consider consuming some fats high in medium-chain triglycerides, such as coconut oil. These provide a very fast-burning fuel source, which rapidly converts to ketones that your brain and muscles can both use for fuel. You have lots of options here. Pick your path and start the experiment! Kelley, D. E. (2005). Skeletal muscle fat oxidation: timing and flexibility are everything. Journal of Clinical Investigation, 115(7), 1699. Sidossis, L. S., Stuart, C. A., Shulman, G. I., Lopaschuk, G. D., & Wolfe, R. R. (1996). Glucose plus insulin regulate fat oxidation by controlling the rate of fatty acid entry into the mitochondria. Journal of Clinical Investigation, 98(10), 2244. Hansen, A. K., Fischer, C. P., Plomgaard, P., Andersen, J. L., Saltin, B., & Pedersen, B. K. (2005). Skeletal muscle adaptation: training twice every second day vs. training once daily. Journal of Applied Physiology, 98(1), 93-99. Tipton, K. D., Ferrando, A. A., Phillips, S. M., Doyle, D., & Wolfe, R. R. (1999). Postexercise net protein synthesis in human muscle from orally administered amino acids. American Journal of Physiology-Endocrinology And Metabolism, 276(4), E628-E634. St-Onge, M. P., Bourque, C., Jones, P. J. H., Ross, R., & Parsons, W. E. (2003). Medium-versus long-chain triglycerides for 27 days increases fat oxidation and energy expenditure without resulting in changes in body composition in overweight women. International Journal of Obesity, 27(1), 95-102. Philp, A., Hargreaves, M., & Baar, K. (2012). More than a store: regulatory roles for glycogen in skeletal muscle adaptation to exercise. American Journal of Physiology-Endocrinology And Metabolism, 302(11), E1343-E1351. Dr. Jacob Wilson, Ph.D., CSCS*D, is a professor and director of the skeletal muscle and sports nutrition laboratory at the Applied Science and Performance Institute in Tampa, Florida.